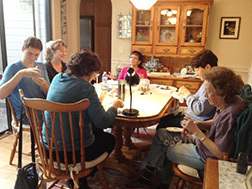 Beading Buddies meet at members homes. It took a 3rd Place. Thank you, Andrea for all your work.